Looking to implement a volunteer benefit at your organisation? Download our eBook to learn how these 15 innovative employee benefits can help you increase engagement at your company. Paid volunteer days are becoming increasingly popular as a benefit especially amongst younger people that are entering the workforce for the first time. 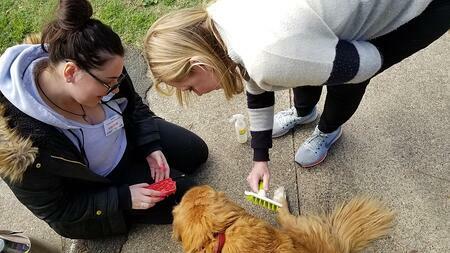 And, according to a Deloitte survey, 89% of employees believe that companies who sponsor volunteer activities offer a better overall working environment than those who do not. 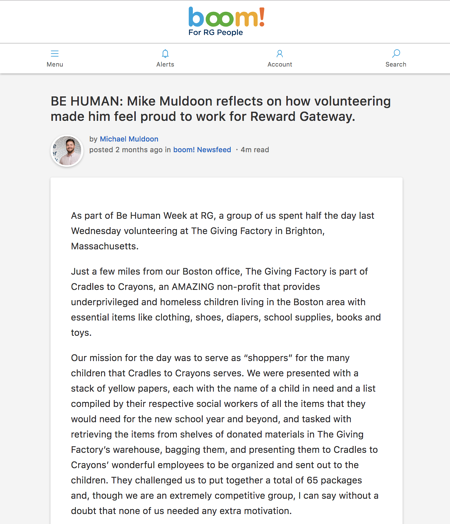 At Reward Gateway, our people are entitled to three days of paid volunteering leave throughout each year. We can spend our time volunteering or fundraising for a charity of our choice, and it’s managed through our centralised HR system which means measuring employee take-up is easy. 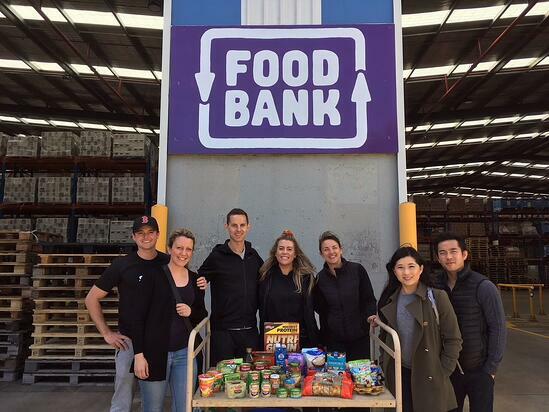 Earlier this year, the RG Melbourne team took part in volunteer leave at Food Bank, an organisation that support and supplies food to hundreds of charities and schools around the country. We chose Foodbank because wanted somewhere our team could work together and provide an immediate impact on the community. Foodbank do an amazing job and sharing stories of their work and the people who lives it impacts to all volunteers. 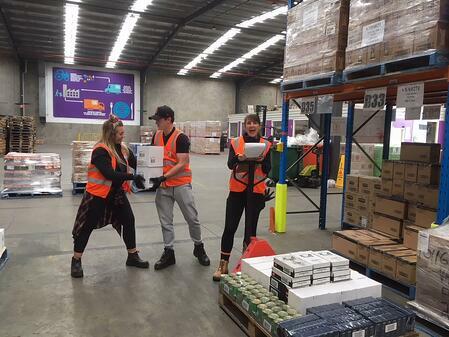 We spent a day helping their team of regular volunteers pack pallets of food and homewares to fulfil the orders from their partners. The warehouse is intimidating in size yet brilliant in its organisation. We had a laugh lots of fun and worked up a sweat packing nearly 5 tonnes across the day. Other than sore feet, we got a real sense of accomplishment at the end of the day – we could visually see the impact we made as our pallets stood side by side. It became a very proud moment for those involved. As a group we enjoyed some different ‘hard work’ together and we loved it, the day took us out of our comfort zone and we can’t wait to do it again. 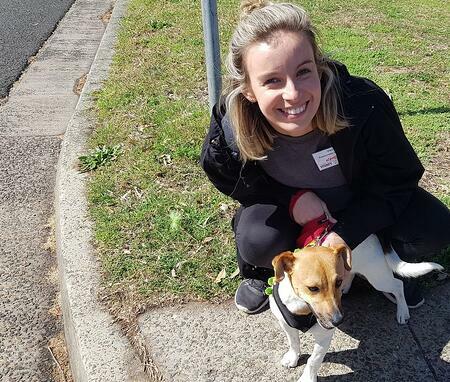 We've had a wide variety of volunteering options around the world – some of my colleagues in Sydney spent time caring for lost or homeless animals at the Sydney Dogs and Cats home, while my mates from the UK team spent a day at Working Chance – a charity that helps women with convictions rebuild the skills needed to find employment after being released. With so many options available I now know the type of volunteer work which will resonate with my colleagues and encourage further use of the volunteering benefit. I’m not talking Olympic gold medalists, but you will need to have people in your business who are willing to champion the volunteering benefit in your organisation. This is even more important in larger businesses where you can’t reach as many people if you’re the only champion. We’ve got a named individual in each of our offices across the globe to be our Volunteering Champions.